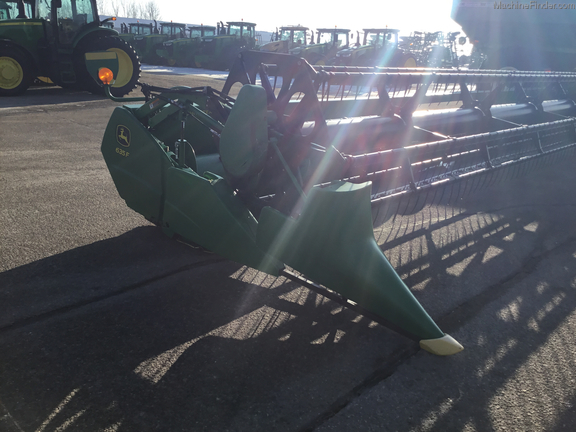 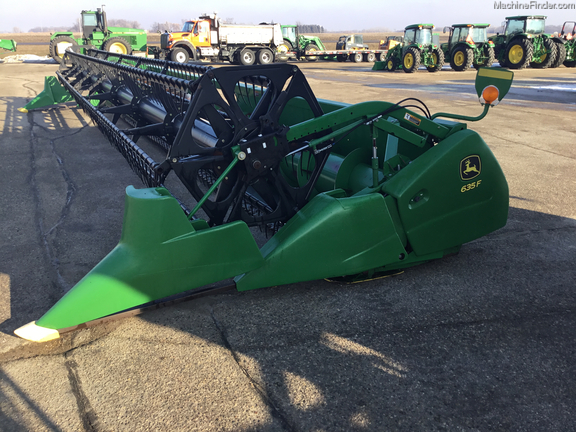 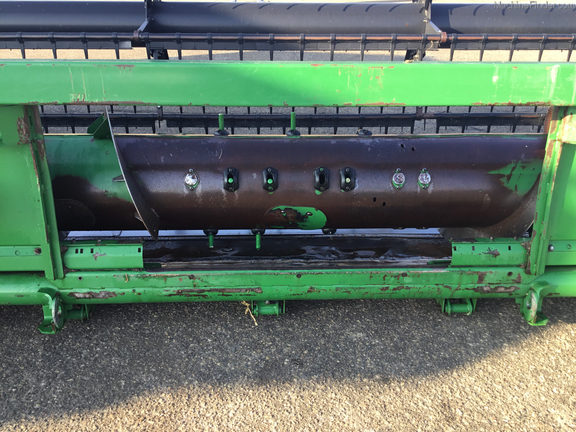 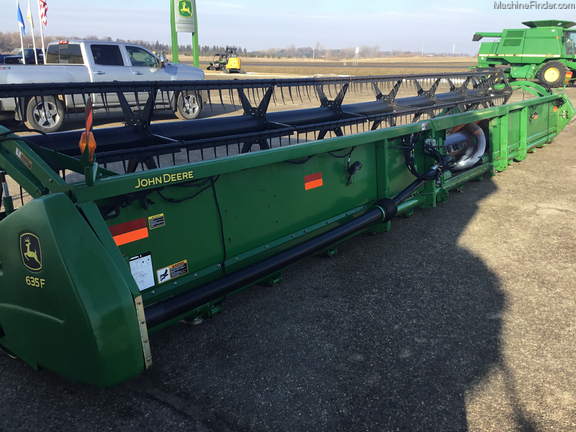 Used 2011 John Deere 635F Flexible Platform, 35' Width, Hyd. 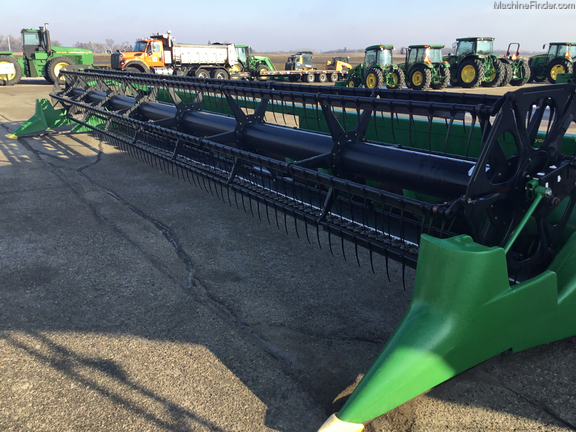 Fore/Aft, Poly Skids, Poly Reel Tines, Marker Lights, Header Height Control Sensing, Optional Sensors for Cutting Small Grain. 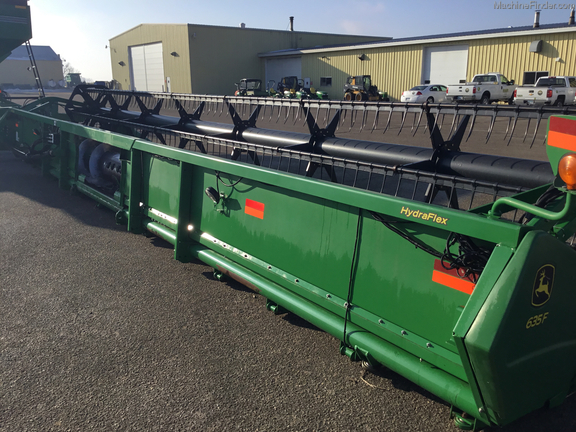 TRAILER PICTURED IS NOT INCLUDED.